Method Orange and Black Claim Wins in the First AWC Cups of BfA! A huge day for both Method Arena teams as they claim a massive double win on both sides of the pond! 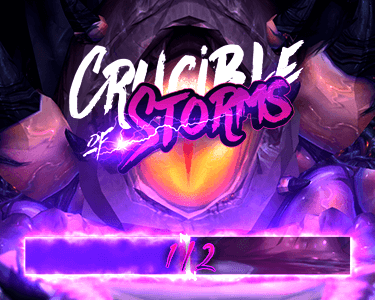 The very first AWC cups of Battle for Azeroth aka the NA and EU Fall Cup #1 took place over the weekend and our boys dominated both tournaments, with Orange having a bit of an easier time over on the EU side. They only lost 3 games total in their 5 match wins, including the 4-1 victory in the grand finals against The Gosu Crew. So congratulations to @ChuckDewland, @mes_WoW, @samiyamx & @trilltkoww on their win in the very first BfA tournament! Method Black had to work a little bit harder for their win, as they actually lost a match and had to battle it out in the lower bracket after the defeat at the hands of Daily Feed. They then had to win three matches to once again face the same team in a tense and very close fight, this time ending 3-2 in Method's favor. But they weren't out of the lower bracket yet, as Tempo Storm waited at the gates, standing between our EU team and the Grand Final itself. After the slightly easier, but still tense 3-1 win, it was finally time for the last match of the tournament, this time facing XRB to the moon. And again, congratulations to @method_whaazz, @Method_Raiku, @MethodChas & @_Swapxy on the first EU BfA tournament victory! So, only 2 matches lost in both Grand Finals, with both teams all but set to go to BlizzCon and the World Championship finals, it seems the Method boys are unstoppable! We'll just have to see how many more tournament wins they can rack up before the main event in November!